Admit it, you’ve thought about walking away from Facebook at one time or another. Perhaps you’ve gone so far as to shut down your account, swearing never to return, only to meekly log back in a week later. Researchers from Cornell University have found four key reasons why people make the pledge not to log in to Facebook but ultimately could not resist the allure of Facebook’s social network. 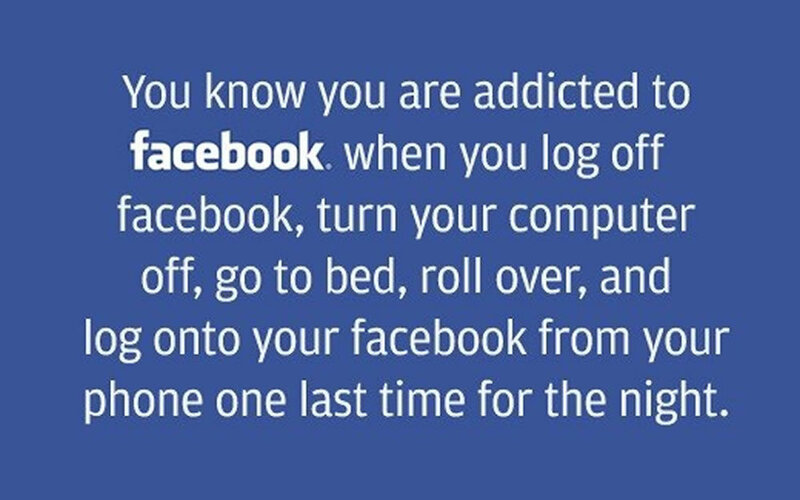 So why we are addicted to Facebook ? What are some of the factors that prevent users from logging off of Facebook permanently? A newly published paper from Cornell Information Science researchers explores that question and points to four themes that significantly influence the likelihood of a return to Facebook. Written by Information Science and Communication Researcher Eric Baumer, along with Ph.D. student Shion Guha, Emily Quan, MPS ’15, and professors David Mimno and Geri Gay, “How Social Media Non-use Influences the Likelihood of Reversion: Perceived Addiction, Boundary Negotiation, Subjective Mood, and Social Connection” was published Dec. 3 in Social Media + Society. If you have thought about leaving Facebook, you’re not alone. Popular media and academic researchers alike have recently become interested in people who don’t use technology. This includes people who intentionally avoid social media like Facebook, as well as those who simply don’t have access. In many cases, though, there’s not a clear split between users and nonusers. People who leave social media and then return, what Baumer and colleagues term “social media reversion,” provide the opportunity to understand better what’s at stake when people use – or don’t use – sites like Facebook. Survey Report – Why we are Addicted to Facebook ? Privacy and surveillance – Users who felt their Facebook activity was being monitored were less likely to revert, while those who use Facebook largely to manage how other people think of them are more likely to log back in. Subjective mood – In a good mood? You’re less likely to renege on your pledge to stay off Facebook. Other social media – The group found that Facebook users were less likely to log back in if they had other social media outlets – like Twitter, for instance. Those who reflected on the appropriate role for technology in their social lives were more likely to revert. In many of these cases, people returned to Facebook but altered their use, for example, uninstalling the app from their phones, reducing their number of friends or limiting the amount of time spent on the platform. The team’s findings were drawn from more than 5,000 surveys issued to participants by Just, the Dutch creative agency that founded the 99 Days of Freedom project. These surveys were sent to project participants on days 33, 66 and 99 and were intended to gauge each user’s mood throughout the Facebook detox. A sampling of this data was then shared – with permission from Just and the survey respondents – with the Cornell research team. Do you agree with above survey reports and also why are you addicted to Facebook ? We’d love to hear from you in the comments!